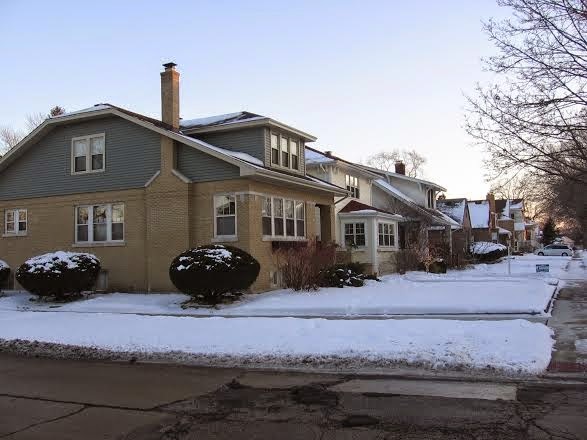 We are working with clients who'd like to buy a house in Edison Park's Ebinger School district. Edison Park residents enjoy the retail and entertainment along Northwest Highway. It's a small town atmosphere on the edge of the city. Home buyers look for value in Edison Park's rows and rows of modest homes... good schools, parks and retail. 109 single family homes closed in Edison Park in all of 2014. The median price is about $333,000 for a sold house. The highest priced house sold in 2014 was 6807 N Olcott, Chicago IL 60631 for $815,000. The fully renovated traditional home has 4 bedrooms and sits on a 50'x147' lot. 8 homes have sold thus far in January with a double-lot (50'x147') new construction house fetching $895,000 at 6850 N Olcott, Chicago IL 60631. 105 houses sold in 2013 with a median price of about $325,000.